So, you have a blog. You’re a self-declared expert in your chosen niche, and you've written a ton of top quality content. But how many people are actually reading it? It could be the best blog in the world, but let’s face it, even if you really enjoy blogging, you need traffic to make it a success. Without it, you may as well be posting content in the wilderness. With Google making it more and more difficult on an almost weekly basis to reap the rewards of organic traffic, here are 19 of my top traffic tips to increase traffic to your blog in 2019. #1 Targeted Content – If you want to increase blog traffic, you want to begin targeting your content. But who do you start targeting your content towards? Clearly you want to target an audience who has the ability and the inclination to share not only your interest and passion …but also your content! While you can never control whether or not this happens, you can make it more likely by creating top notch content that really grabs their attention. Sounds obvious perhaps? But how often do you really come across well written content that actually engages you! Info-graphics are also very in vogue right now. They get re-posted on Facebook and shared via email. Nicely done narrative videos are also a good bet. Another thing to consider is that when people assemble facts that challenge the “norm” or that “go against the grain” these are also shared much more frequently. Generally speaking, those who are active on social media sites are also more likely to share. Out of that group, those who are active in social media and either host their own website, or also have a blog, are even more likely to share your content. #2 Get active where your target audience is – If you want to know how to increase blog traffic, then you need to visit the forums, sites, groups, and blogs where people are discussing what it is you are talking about on your blog. Run a Google search and create a list of places, then use Google's DoubleClick Ad Planner to expand that list. Create accounts and lurk for a while. Do your recon. Read through previous discussions and follow the current conversations. Join the conversation only after you have a feel for the norms and tone of the group. The last thing you want is to be booted out or to develop a bad rep as a blogger no one wants to touch. And remember, avoid link-dropping, spamming, or trolling… seriously! #3 SEO-Friendly Content – Good old fashioned SEO can increase blog traffic, after all Google loves nothing more than high quality original content. WordPress, Joomla and Drupal are all SEO-friendly platforms. However I’d also suggest going a step further and checking out some resources to learn how to write really good SEO content. For example, SEOBook, Blogger’s Guide to SEO, SEO 101 for Travel Bloggers, or The Beginner’s Guide to SEO. despite the constant games being played out between the SEO'ers and Google, SEO is still one of the most successful approaches when considering how to get blog traffic. Your return will also be well worth the time invested. However for it to be a real success, time is what it will take, alongside a good understanding of Google’s ever changing algorithm updates. #4 Work Your Social Networks – The fairly new kid on the block, Google+, already has 100 million registered users. 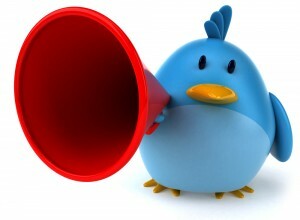 Twitter has more than 400 million. And veteran, Facebook, boasts more than 850 million users. The more professional-minded LinkedIn has 130 million registered users. These are all great avenues to find connections and post content strengthening the connection between the social networks and your blog. Always create both personal and business accounts remembering that when used for business, these people aren’t your friends, they’re your network of contacts. Upload pictures and write full descriptions that leap off the page. Make your accounts practical and helpful. Studies reveal that more complete profiles yield more successful accounts. It also sets you apart as credible, real and not of SPAM origin. People are naturally reticent of accounts which are not filled out well or have little work invested. Reach out to people you already know personally through social or professional venues. Then follow the people of influence in your industry. FindPeopleonPlus and FollowerWonk is useful in terms of locating these folks. Share your content and interact with your community. Those hash tags you see everywhere? Use those to your advantage. Seek out interesting discussions and join them. You will be amazed by the power of social networking environments to build your brand and position yourself as a person of influence. If you are routinely sharing interesting and memorable content while actively and genuinely participating in the conversation, your fan base will grow by leaps and bounds. #5 Use Analytics – Google Analytics is of course a must. But then you have to actually track the results and use them. You can use Google’s analytics to see where the traffic is coming from and what others are saying about your content. This in turn can show you where to focus your efforts and how to plan your marketing efforts. #6 Add visuals – If you have snazzy photos or illustrations, use them. Upload your own images or use a third-party service—Flickr, or Shutterstock for example—on your blog, you can increase your blog traffic with people searching through Google’s Image Search. Underneath your images, put a notice telling visitors they are welcome to use the picture if they link back to your post (license allowing). You can’t control whether people actually link back or not. But you can use the Image Search Function of “similar images” on Google to find them. Once you find them, just contact the person and ask them to please link back to you. #7 While writing new posts, do keyword searches – There are many keyword tools out there, but the most popular and free tool to use is of course the Google’s Adwords Keyword Tool. You do have to set-up an account, but it’s easy enough to do and easy enough to use when done. All you do is type in some possible keywords and hit the search button. Google will then come back to you with a selection of popular search phrases. For 10 of the most popular research and ranking tools check out this post right here. Remember as well to use your title and headline to search for keywords. Using the keywords you find in your title and producing a well written, well researched entry will take you far. #8 Reference posts—yours and other people’s – Reference an earlier post of your own in the post you’re writing or—even better—reference someone else’s content. They may return the favor. If they use Google Alerts, then they will know you referenced them. #9 StumbleUpon and Reddit are also worth your time – There are many social communities online. Reddit has over 2 billion views a month. There are also sites like GoodReads, Pinterest, Tumblr, Ravelry, Newsvine, and Care2. If you can add value to these communities, they will pay you back, but you have to invest. You cannot dump a load of spam or just your links and then check out. You have to authentically and sincerely interact with the community. Be sure to post relevant material. Don’t be hurt by rejection. 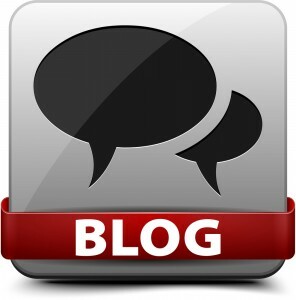 As your fan base grows, so will your opportunities to guest blog. Write the best post you can and have it ready when you ask to guest blog. If you don’t know who to ask to guest blog, use MyBlogGuest. #10 Use Great Design – Your site needs to be professional, pleasing to the eye, and easy to navigate. It should “feel” good. You can hire a good designer for your site. Elance, Freelancer and Odesk are all places to hook up with a good designer for your site. The cost is worth it because a well-designed site will bring in traffic. #11 Comment on other blogs – Make authentic, value-adding comments on other people’s blogs. You can find blogs with a lot of participation through FollowerWonk and Feedspot. Use the same name and url, only not doing so makes you look like a SPAMMER. #12 Jump into Q & A sites – FormSpring, Answers.com, StackExchange, Quora, and Yahoo Answers have new questions posted daily. You want to post value-adding answers to questions which have previously not been answered, or perhaps answered incorrectly, or not answered thoroughly. You want to answer questions that you can provide insight to so as to engage not only visitors, but the right kinds of visitors. In addition you can include (where possible) a link back to a relevant blog post in your res ponse. #13 Subscriptions – Lots of people may come to your blog, think it is great, intend to come back, and never do. 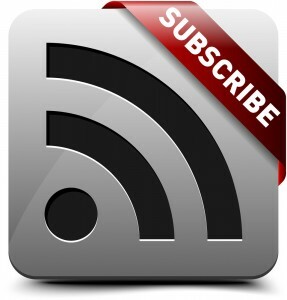 Use Feedburner and put up a sidebar on your post where your visitor can sign up for a feed or email newsletter. WordPress has many handy plugins for this. Just remember to check back on your subscribers. Track what they’re clicking on. This also helps you to shape future content. #14 Play Host and Attendee – Check out Lanyrd, which shows you events where your social network contacts will be in attendance. Meeting people in-person is very powerful. #15 Don’t forget your list – Use your list to promote your blog. And include a link in your signature, header or footer. #16 Surveys – People love being asked their opinion. PollDaddy, and SurveyMonkey are both free survey sites. Poll your readers about topics that are controversial to get some of the best responses. 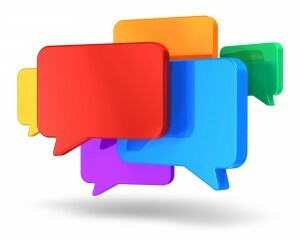 #17 Participate in Popular Discussions – Check out WeSmirch, Topsy, Techmeme, Alltop, MediaGazer, and Memeorandum for popular conversations to which you can discuss issues. You can link back to blog posts—yours or other people’s—in your comments. #18 The Best of ‘Lists' – Take advantage of the competitive nature of the online world. When you post a list of “the top 10” or “the best of” whatever, everyone appearing on the list will praise and share it. But take care. This needs to be sincere, researched, and your choices defensible. Reach out to those you placed on the list via tweeting with a link, email, or blog comment. You may build relationships this way. #19 Network your own profiles and blog – Anything you post online, link it back to your blog. Place a blog link on your profile pages. This simple move will produce great results. But don’t forget to do this when you upload a Youtube video or post a comment or answer a question. Have you forgotten where your profiles are? Use KnowEm to find all your old accounts. For 21 more of the hottest and most profitable traffic tactics and targeting tips for 2019 don't forget to download my free report right here.